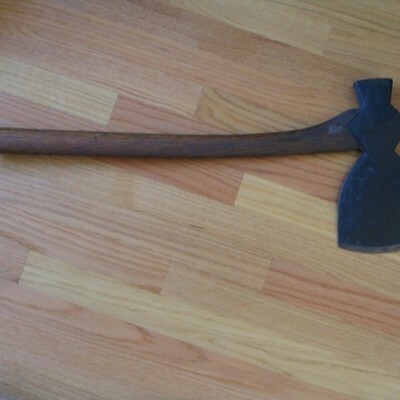 Shipcarpenter tool, ax, late 19th c. Probably used in the Milton shipbuilding industry. Blade is bevelled on two sides, and handle curves away. Found in the Milton Historical Society collection, possibly part of a collection of tools belonging to David Donovan.